Without a doubt, Bali is a breathtakingly and beautiful destination that lacks attention from international travellers due to neighbouring countries like Thailand and Malaysia. 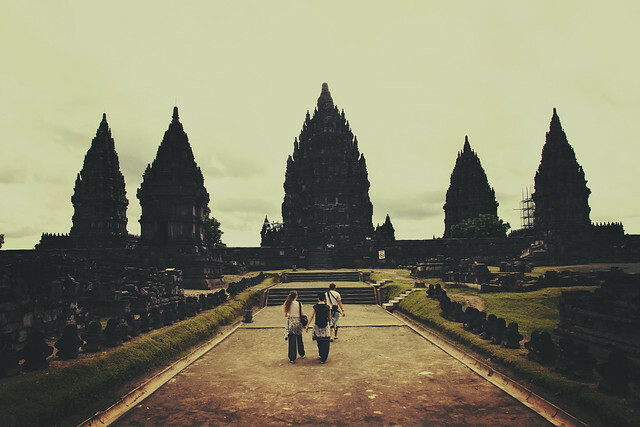 Currently, the Indonesian government is granting visa-free entries in hopes of boosting tourism. But the problem may very well be the fact that many travellers find Bali to be much more expensive than Phuket when the truth is that Bali can be just as affordable, if not cheaper! As a budget traveller, your instincts might tell you to explore the lesser known, unbeaten paths of Indonesia rather staying in tourist heavy destinations like Bali. If you’re not careful travelling can become extremely expensive because of added expenses, from airline tickets to airport cab fares. International airports are often located quite far from city centres, making it inconvenient and quite expensive to get to, so be warned. Bali isn’t like European cities such as London and Manchester that provide a wealth of public transport options to avoid drastic taxi charges. Travelling in Malaysia can be quite the opposite especially if you aren’t versed on the cheap forms of travel to get you to and from the airport to your accommodation. The general idea of travelling on a budget is to sacrifice convenience to experience more, but with a bit of research, a luxurious Bali vacation is entirely possible, even for those travelling on the cheap. Once you find an affordable ticket on a trustworthy flight comparison site, the next biggest expense of the trip is going to be your accommodation. Bali is filled with some of the most spectacular resorts and hotels you can find anywhere in the world, but only seem to cater for luxury travellers and generally people that are willing to shell out more on comfort. Though that doesn’t mean you have to sacrifice personal space and stay in a cramped hostel. In fact, there are plenty of boutique hotels that cost no more than $50 per night and still have some of the amazing amenities that you would normally get at a pricier resort. The tastefully decorated DeKuta hotel has room rates starting at $35 and is strategically located near Beachwalk Mall and Kuta Beach. For more of a rustic, country setting, you could lodge at Brown for $37 per night, which overlooks the rice paddy fields of the Batu Belig area. Beautiful! Now it’s just a matter of daily expenses. Bali is structured around picturesque geography and landscapes, there are so many beaches, waterfalls, hot springs, incredible temples and other islands that can explore for free or have entry fees that are just $5. Check out Bali’s haunted and abandoned places if you’re feeling extra brave. Food is amazingly cheap at local restaurants and cafes, which are referred to as warungs. Although the average warung meal would only cost you $1, alcoholic beverages are a different story. While the beers in Bali may be significantly cheaper than they are in your hometown, prices are disproportionately expensive compared to food and even hotel rates. So if you’re on a strict budget, you might want to avoid the booze… Yeah right! Do you have any budget Bail tips?! Let us know in the comments below!